More than likely, you were a DARE kid in school. So also more than likely, the only thing you were taught about drugs is that they’re bad — and that the baddest drug of them all might be marijuana. Because marijuana was a one-way ticket — to cocaine, to peyote, to opium, to acid, to whippets, to ecstasy, to ketamine, to meth, to heroin, to all of them at once. Essentially, once you smoked weed, there was no turning back. Your future was that of the guy who gave the school-sanctioned lecture about losing part of his face to a freebasing accident, which wouldn’t have happened, of course, had he never set that first joint ablaze. Fortunately, today we know it’s perfectly possible to do drugs without becoming an addict. In fact, even DARE, which infiltrated nearly every school in the country with its “Just Say No” mantra, is no longer an anti-drug program; instead, it focuses on teaching good decision-making and effective communication skills. Not to mention, recreational marijuana use is legal in a handful of states, and it seems like only a matter of time before the same is true everywhere else in the country. However, the idea of a gateway drug hasn’t completely dissipated. 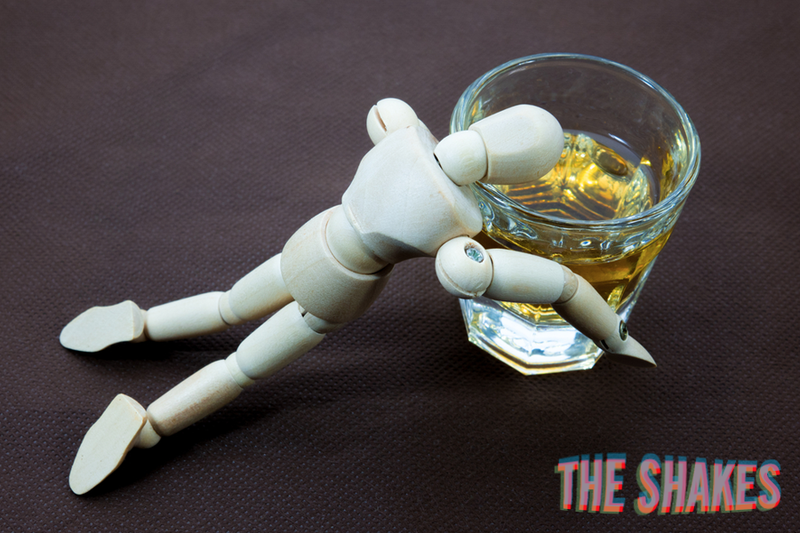 If anything, recent research has found that we were looking in the wrong place all along and that another very common, very widespread drug is to blame — alcohol. That’s right: The real gateway drug might be booze. First introduced by Dr. Denise Kandel in 1975, the gateway hypothesis, or gateway theory, posits that “soft” drugs (e.g., nicotine, marijuana and alcohol) are a precursor to “hard” drugs (e.g., cocaine, opiates and methamphetamine). “The general point of the gateway hypothesis is that if you use a drug, you’re more than likely also using other drugs, too,” says Kandel, a psychiatry professor at the Columbia University Mailman School of Public Health. The gateway hypothesis was developed through the study of people and their behaviors over extended periods of time. And when heroin or cocaine addicts were asked about their progression of drug use, nearly all of them reported having also used marijuana (which is where the propaganda equating marijuana use with heroin addiction comes from). At the same time, when the behavior of adolescent participants in addiction studies was tracked over time, those who drank or smoked (either cigarettes or marijuana) were more likely to use harder drugs later in life. There was, however, never thought to be a biological relationship between using alcohol or nicotine and drugs like cocaine — until now. Last fall, Kandel, along with Edmund A. Griffin Jr. and a cohort of psychiatrists and neurobiologists, published “Prior Alcohol Use Enhances Vulnerability to Compulsive Cocaine Self-Administration by Promoting Degradation of HDAC4 and HDAC5” in the journal Science Advances. In the study, an experimental group of rats were given alcohol every day for almost two weeks (about the equivalent of someone being a regular drinker for several months) and then given access to a lever that, when pressed, administered a dose of cocaine. While rats were allowed to take a hit of coke as often as they liked, there were negative consequences after doing so — namely, electrical shocks. But rats primed with alcohol were so determined to get their drugs that the shocks were all but ignored. Rats that weren’t given alcohol, on the other hand, didn’t exhibit these drug-seeking behaviors, nor did rats who had been given alcohol for only five days. “We report that in the rat, prior alcohol consumption results in enhanced addiction-like behavior to cocaine, including continued cocaine use despite aversive consequences. Conversely, prior cocaine use has no effect on alcohol preference,” the study concludes. Which means if you’re using cocaine, as a drinker, you’re biologically more vulnerable to becoming addicted. “These are animal studies,” he concludes, “so it’s going to be valuable to look at these markers they’ve identified and see if they occur in human populations, and that work hasn’t been done yet.” Nor will it be for quite some time. Gateway behaviors would be things like risk-taking, which is, in some ways, genetic or inherited; ADHD is another set of behaviors (and brain chemistry) that up a person’s odds of developing substance abuse; as is a tendency toward antisocial behavior. Look at Japan, for instance. According to Vanyukov’s 2012 research, 4.5 percent of 18- to 29-year-olds there have used marijuana, but 4.8 percent have used other, harder, illegal drugs. That means that some Japanese drug users skipped pot and went straight to the hard stuff. In fact, the report shows that 83.2 percent of drug users in Japan DID NOT use marijuana first. Nor is alcohol regularly consumed by drug users in Japan, largely because of an inherited enzyme deficiency that’s particularly common in Asian populations. “Our study helps us to understand how an early exposure to something like alcohol can actually tip the balance and increase a person’s ability to develop addiction,” Griffin told the Irish News in November. There are several key words in that conclusion: how, can and ability to develop. In short, his study doesn’t prove that alcohol is a “gateway drug,” it proves that alcohol has the ability to transform the way an animal brain reacts to cocaine, and that this new brain chemistry is a pristine environment for cocaine addiction to flourish. Does that mean that everyone who drinks will wind up abusing cocaine? Does this mean that avoiding alcohol will save you from a coke addiction? Does this mean that addiction can be boiled down to strictly a neurological issue, devoid of influence by environmental factors, learned behavior or a nation’s policy on substance use? Does this mean that at least 40 years into the War on Drugs we still have so much to learn, so much to try to understand and so much need for a more nuanced conversation around drug use and addiction?